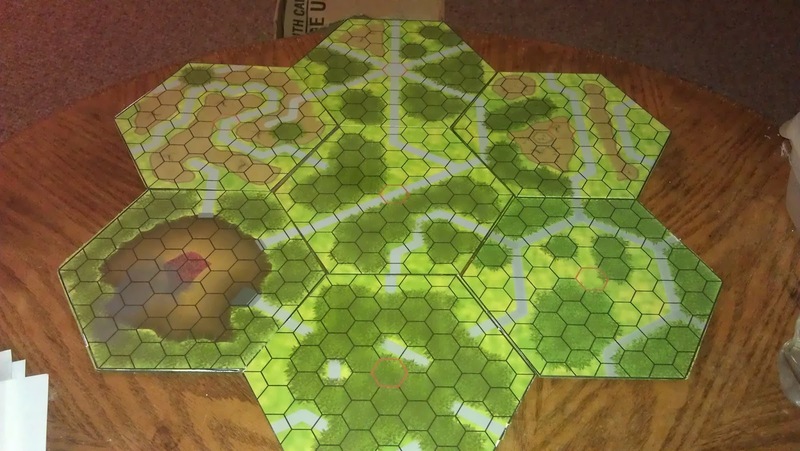 By now you may have seen the pictures and read the rules for Battle Tank. The game has been playable for months now so the work we've been doing is all about improving the experience by making it look better and read more easily. I feel we've been quite successful at that. 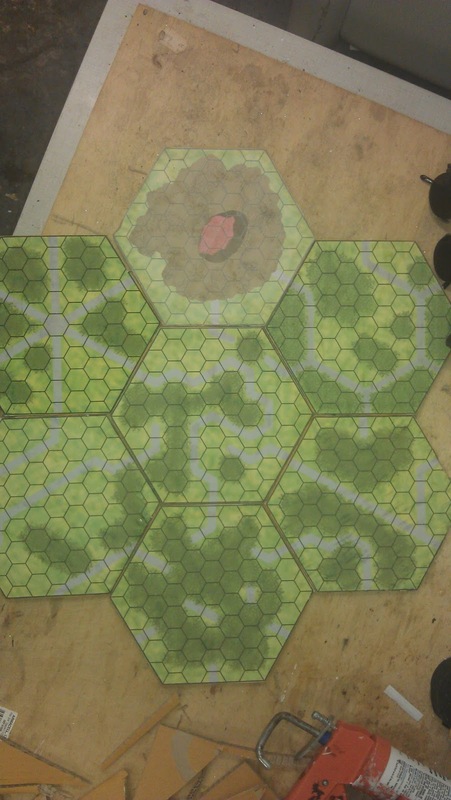 Here's a side-by-side of the board tiles so you can see clearly what I mean. And after doing all that, I have come to appreciate that it was the easy part. It has taken a long time, sure, but at every stage from conception to now, the tasks have been within our skillsets or close enough that we could expand our abilities and get things done. No, the hard part isn't making the game, it's getting the word out. None of us at Inspired are marketing professionals though a few of us have some experience. Some experience, as it turns out, isn't really that helpful so it has taken some serious effort to figure out what to do and start doing it right. We've been fortunate in that CJ has a cousin who is a marketing professional and we've gotten some great feedback and assistance from the people we talk to through social media and in person at our game demos. Eventually everyone comes up with the same advice: get engaged, post on forums and pound the pavement. So that's what we are doing. We are ramping up our presence on social media, posting in communities and trade groups and of course getting our names out at Boardgamegeek and looking for other forums as well. The most visible thing that will be happening in the near-term is more blog posts here at inspiredpress.net and those will be showcasing the views and contributions of all the members of the team so you can read what someone besides me (and occasionally CJ) think about what we do.